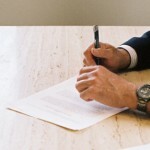 The common business planning list includes: sole proprietor, partnership, limited partnership, corporation (C or S) and a limited liability company (LLC). Corporations and LLCs have an asset protection element to them that the other business structure forms don’t have. They have limited liability, aka, a “corporate shield,” but they require more “management” than a sole proprietor or partnership. What is an LLC “Corporate Shield”? An LLC has the same corporate shield that a corporation does. By the way, the corporate shields of an S corporation and a C corporation are identical. The corporate shieldis the ultimate in business planning. It protects you from the problems that arise in the business structure. Congress has simply passed laws that protect the individual owners of an LLC or corporation from the debts and liabilities of the company. The owners are given some “protection” (limited liability protection) by congress in order to encourage people to start little businesses. If you want the corporate shield protection in your business structure, you have to play the game. 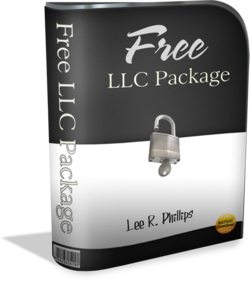 In addition to setting up your business structure properly (doing all the paperwork and filing with the state), you also have to follow the “formalities” required to show the courts that you are treating your company as an independent entity and not just as your “alter ego.” Our complete LLC Wizard System includes a list of 27 formalities you need to observe in your business planning in order to insure that the courts will give you the asset protection you hope to get out of your business structure. Your little business is your most important way to save taxes, but most folks don’t get all of the tax advantages they should out of their business. First of all, the business structure has to be designed for both asset protection and to save taxes. Most lawyers and almost all of the business structure websites only design the documents for asset protection. (Most don’t do a very good job of that either.) Their business planning documents are not designed to save taxes. The articles of incorporation or the articles of organization are the forms you file with the state when you create your business, your corporation or LLC. The states require very specific information. Don’t give them any more information than they require, because the information you give them is public information. 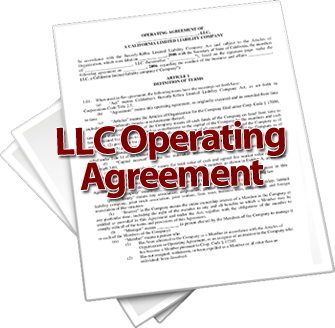 You can certainly file your own LLC or corporation forms with the state. Just use the state forms, collected for you here: State Information for LLCs. Your bylaws for your corporation or your operating agreement for your LLC have to be written to give you the best tax advantages. What is written in the bylaws or operating agreement make a big difference if you want to save taxes. There are tons of tax advantages for a small business that you can’t get as an individual. For example, the things you expense in your small business are taken out of your income before your adjusted gross income is calculated. You could take some of the expenses as an individual, but they would come out of your income after your adjusted gross income was calculated. Lowering your adjusted gross income is a big deal, because if you can lower your adjusted gross income, you may be able to drop into a lower tax bracket and save taxes on every dime you earn. Your small business can give you dozens of opportunities you don’t have as an individual to save taxes. You’ve got to spend all year using your business planning skills to create great numbers for your CPA. A little time throughout the year can result in big savings at the end. Whatever you do, have a small business and learn how to use it for asset protection and to save taxes. Think about this. Today you would need a million dollars ($1,000,000) in the bank to get an extra $10,000 from interest earnings. If you can save an extra 15% in taxes, that would be an extra $10,000 for many small business owners. Isn’t it worth understanding business planning and learning all you can?